Are you looking for the best locksmith in order to provide a high level of security to your commercial property? If so, then you have landed on the right place. We, at Mc Allen Locksmith Pros, provide a powerful access control system for all kind of commercial buildings. We are one of the best locksmiths in McAllen, Texas who are well-known in offering top quality locksmith services to their customers. No matter what type of commercial building is, we offer best in class locksmith services at affordable prices. Why You Need Access Control System? Discretionary Access Control (DAC): With the help of this system, the restrict the access to the objects. Role-Based Access Control Technology (RBAC): In this type of system, access is based on the subject’s role in the company. Mandatory Access Control (MAC): This system provides a label that let employees pass through the security. We are the most trustworthy locksmith and have gained a great reputation in the industry. Our years of experience boast of our great work and endeavor to give top services to our customers. With the team of friendly and certified locksmiths, we leave no stone unturned in meeting the demands of our customers. Our rates are reasonable, and we assure you that our rates do not contain any hidden charges. We also keep complete transparency in our work. We offer 24-hour services to our customers, and no matter what the time is, you can ring us without any hesitation. We take immense pride in helping our customers when they need us. High customer satisfaction is one of our main objectives, and we strive to give top locksmith services to our esteemed customers. We believe in building rapport with our customers, and we also have a long list of satisfied customers. Our mobile technicians are expert in handling any kind of commercial locksmith services. When it comes to installing access control system installation, our technicians have proficiency in this task. Our technicians use latest quality tools so that they can complete the job on time as well as efficiently. This will let you count us every time you need locksmith services. Whether you want to repair the access control system of your building or want to install the new unit, we are ready to do that for you. You can call us anytime in order to get our commercial locksmith services, and we would be glad to help you. Just call us, and we will reach your place in minimal time. 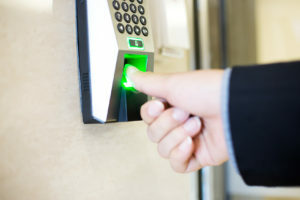 Top Access Control System Services in McAllen Texas https://locksmithmcallen.com/commercial/access-control-systems/ 3.9/5 based upon 28 reviews.